叉烧 or 'Char Siu' this is how we pronounce it in Cantonese. I never bother to made my own Char Siu at home as I can buy perfectly delicious barbecue pork at a Chinese butcher stall or restaurant here until I tried the Char Siu made by aunt Yoke Peng. 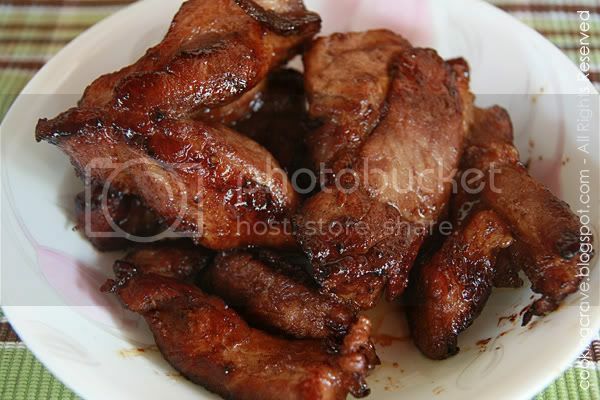 She shared with me her simple recipe on how to make this delicious Char Siu. 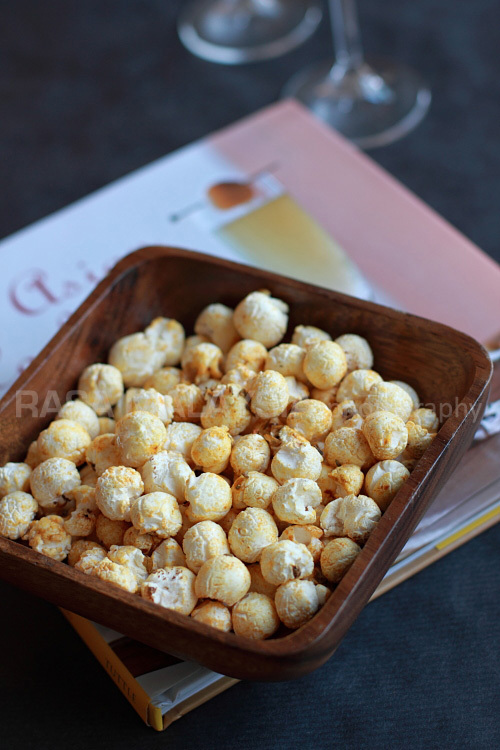 Believe me, it's really delicious!! Cut pork loin into long strips. In a large bowl combine all the ingredients for marinade. 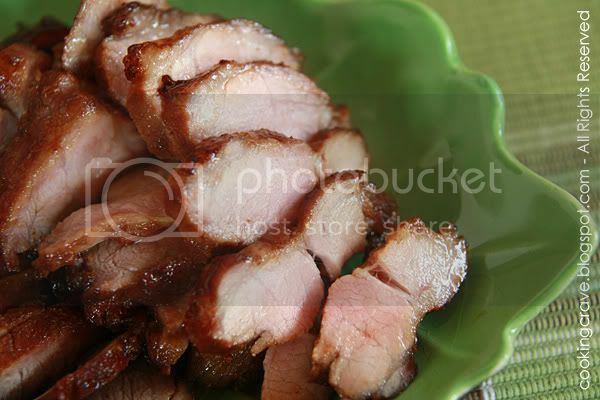 Place pork strips into bowl, cover and marinate overnight in the refrigerator. Open and turn the pork to the other side for better marinade. Heat a wok with oil enough for frying the pork strips. When to wok is hot, put in the marinade pork strips and fry it in lower heat until it's fragrant. As the soy sauce and sugar was one of the ingredients, the char siu will slowly turn into darker color and sticky. Flip over to fry the other side till it's fragrant. Use lower heat and let it fry for a longer time to make sure the meat are cooked thoroughly. Dish out the cooked char siu and let it cold first before we slice it into 1/2cm thick. Serve warm with steamed rice or noodles. I'm sure will wait for this yummy recipe! Tintin, u cooked it with the Ang Hia Kia? 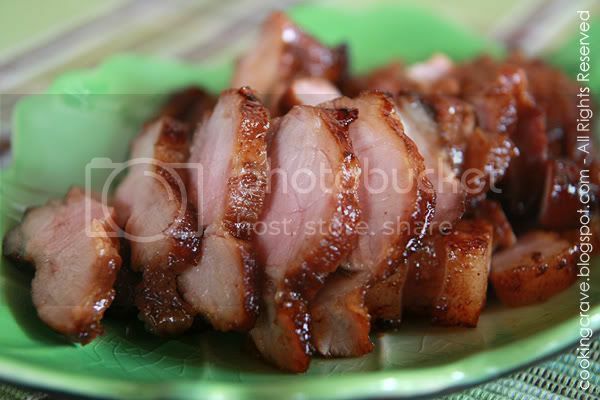 Love char siu with a bowl of chicken noodles...! Looking forward to seeing the recipe! thanks for the picture! sure looks savory delicious!